GtkTextView implements AtkImplementorIface and GtkBuildable. Creates a new GtkTextView. If you don't call gtk_text_view_set_buffer() before using the text view, an empty default buffer will be created for you. Get the buffer with gtk_text_view_get_buffer(). If you want to specify your own buffer, consider gtk_text_view_new_with_buffer(). Sets buffer as the buffer being displayed by text_view . The previous buffer displayed by the text view is unreferenced, and a reference is added to buffer . If you owned a reference to buffer before passing it to this function, you must remove that reference yourself; GtkTextView will not "adopt" it. Returns the GtkTextBuffer being displayed by this text view. The reference count on the buffer is not incremented; the caller of this function won't own a new reference. Note that this function uses the currently-computed height of the lines in the text buffer. Line heights are computed in an idle handler; so this function may not have the desired effect if it's called before the height computations. To avoid oddness, consider using gtk_text_view_scroll_to_mark() which saves a point to be scrolled to after line validation. Note that you can't convert coordinates for a nonexisting window (see gtk_text_view_set_border_window_size()). Usually used to find out which window an event corresponds to. If you connect to an event signal on text_view , this function should be called on event->window to see which window it was. Sets the width of GTK_TEXT_WINDOW_LEFT or GTK_TEXT_WINDOW_RIGHT, or the height of GTK_TEXT_WINDOW_TOP or GTK_TEXT_WINDOW_BOTTOM. Automatically destroys the corresponding window if the size is set to 0, and creates the window if the size is set to non-zero. This function can only be used for the "border windows," it doesn't work with GTK_TEXT_WINDOW_WIDGET, GTK_TEXT_WINDOW_TEXT, or GTK_TEXT_WINDOW_PRIVATE. Moves the given iter forward by one display (wrapped) line. A display line is different from a paragraph. Paragraphs are separated by newlines or other paragraph separator characters. Display lines are created by line-wrapping a paragraph. If wrapping is turned off, display lines and paragraphs will be the same. Display lines are divided differently for each view, since they depend on the view's width; paragraphs are the same in all views, since they depend on the contents of the GtkTextBuffer. Moves the given iter backward by one display (wrapped) line. A display line is different from a paragraph. Paragraphs are separated by newlines or other paragraph separator characters. Display lines are created by line-wrapping a paragraph. If wrapping is turned off, display lines and paragraphs will be the same. Display lines are divided differently for each view, since they depend on the view's width; paragraphs are the same in all views, since they depend on the contents of the GtkTextBuffer. Moves the given iter forward to the next display line end. A display line is different from a paragraph. Paragraphs are separated by newlines or other paragraph separator characters. Display lines are created by line-wrapping a paragraph. If wrapping is turned off, display lines and paragraphs will be the same. Display lines are divided differently for each view, since they depend on the view's width; paragraphs are the same in all views, since they depend on the contents of the GtkTextBuffer. Moves the given iter backward to the next display line start. A display line is different from a paragraph. Paragraphs are separated by newlines or other paragraph separator characters. Display lines are created by line-wrapping a paragraph. If wrapping is turned off, display lines and paragraphs will be the same. Display lines are divided differently for each view, since they depend on the view's width; paragraphs are the same in all views, since they depend on the contents of the GtkTextBuffer. Adds a child at fixed coordinates in one of the text widget's windows. The window must have nonzero size (see gtk_text_view_set_border_window_size()). Note that the child coordinates are given relative to the GdkWindow in question, and that these coordinates have no sane relationship to scrolling. When placing a child in GTK_TEXT_WINDOW_WIDGET, scrolling is irrelevant, the child floats above all scrollable areas. But when placing a child in one of the scrollable windows (border windows or text window), you'll need to compute the child's correct position in buffer coordinates any time scrolling occurs or buffer changes occur, and then call gtk_text_view_move_child() to update the child's position. Unfortunately there's no good way to detect that scrolling has occurred, using the current API; a possible hack would be to update all child positions when the scroll adjustments change or the text buffer changes. See bug 64518 on bugzilla.gnome.org for status of fixing this issue. Sets the default editability of the GtkTextView. You can override this default setting with tags in the buffer, using the "editable" attribute of tags. Sets the default number of pixels of blank space to put below paragraphs in text_view . May be overridden by tags applied to text_view 's buffer. Sets the default number of pixels of blank space to leave between display/wrapped lines within a paragraph. May be overridden by tags in text_view 's buffer. Sets the default justification of text in text_view . Tags in the view's buffer may override the default. Gets the default indentation of paragraphs in text_view . Tags in the view's buffer may override the default. The indentation may be negative. Gets the default tabs for text_view . Tags in the buffer may override the defaults. The returned array will be NULL if "standard" (8-space) tabs are used. Free the return value with pango_tab_array_free(). copy of default tab array, or NULL if "standard" tabs are used; must be freed with pango_tab_array_free(). Obtains a copy of the default text attributes. These are the attributes used for text unless a tag overrides them. You'd typically pass the default attributes in to gtk_text_iter_get_attributes() in order to get the attributes in effect at a given text position. The return value is a copy owned by the caller of this function, and should be freed. A GtkTextChildAnchor is a spot in the buffer where child widgets can be "anchored" (inserted inline, as if they were characters). The anchor can have multiple widgets anchored, to allow for multiple views. which gets emitted when the user initiates a cursor movement. If the cursor is not visible in text_view , this signal causes the viewport to be moved instead. which can be bound to key combinations to allow the user to move the viewport, i.e. change what part of the text view is visible in a containing scrolled window. which can be bound to key combinations to allow the user to initiate horizontal cursor movement by pages. This signal should not be used anymore, instead use the “move-cursor” signal with the GTK_MOVEMENT_HORIZONTAL_PAGES granularity. which gets emitted to select or unselect the complete contents of the text view. which gets emitted when the user initiates setting the "anchor" mark. The "anchor" mark gets placed at the same position as the "insert" mark. Set the scroll adjustments for the text view. 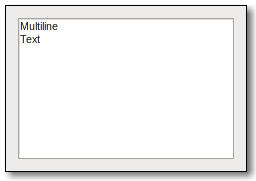 Usually scrolled containers like GtkScrolledWindow will emit this signal to connect two instances of GtkScrollbar to the scroll directions of the GtkTextView. which gets emitted to toggle the visibility of the cursor. which gets emitted to toggle the overwrite mode of the text view.